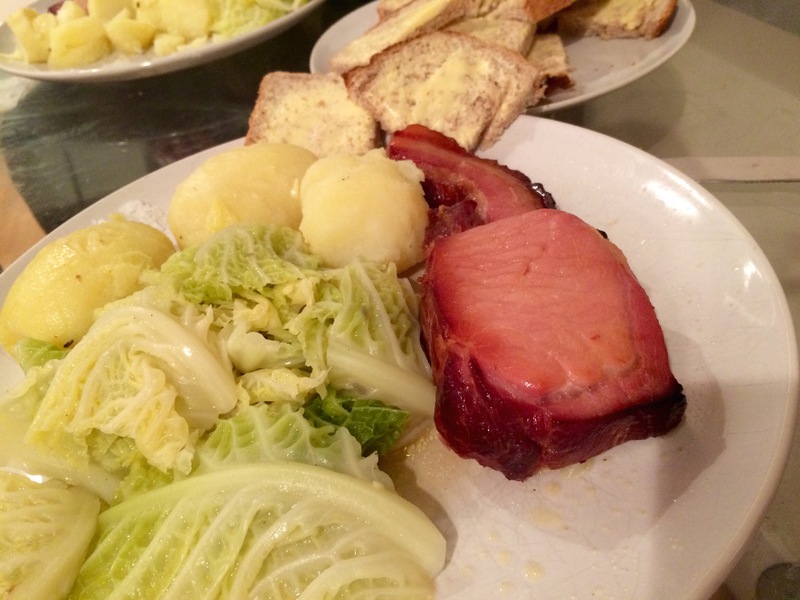 Home › Dinners/Suppers › Roasted smoked honey bacon , cabbage and potatoes -classic! Roasted smoked honey bacon , cabbage and potatoes -classic! This is a classic.. A brilliant number.. You know what I loved it so so much .. Like seriously loved it! 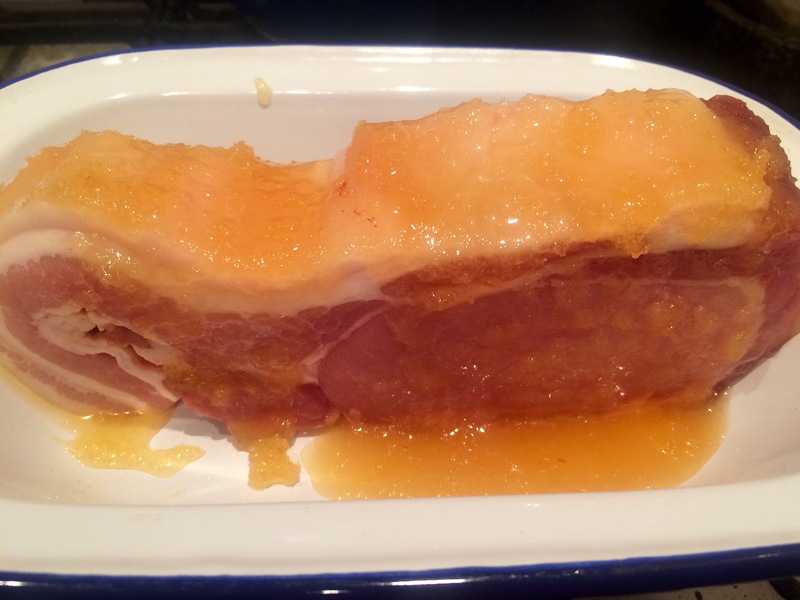 First the bacon, a slab of excellent blythburg bacon, smoked nearby..
Hard to lay your hands on.. Yet you gotta get some in your life..
Trust me.. The rind needs slicing off not too thick ..
Roasting and basting every ten minutes for thirty minutes..
And steaming the spuds in their skins.. Yet a pal told me about this neat trick of slicing round the whole potato and then re skin just slides off.. It’s true! And some great Savoy cabbage..
And of course with a thing like this you need bread and butter to make it truly classic! Short post.. Simple food.. STUNNING! the best. it’s not bacon though it’s a pork chop! No it’s bacon for sure !!! 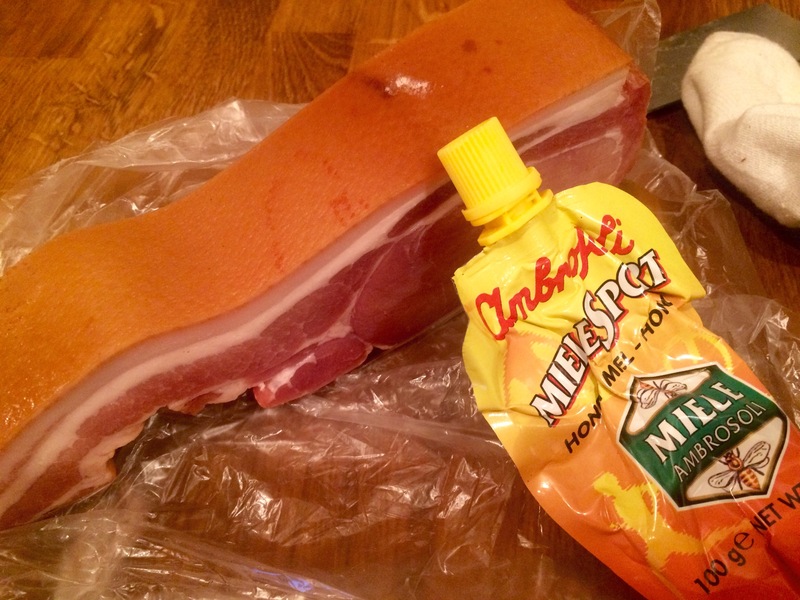 Lovely meaty bacon! Looks like prime comfort food.